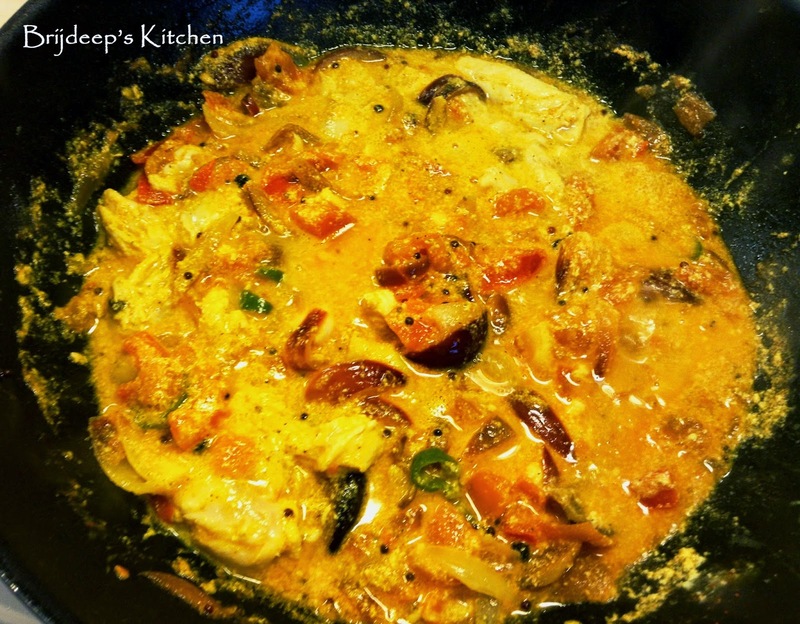 As the name suggest, this delicious Chicken Curry is marinated in yoghurt and cooked with mild spices. This is a Pakistani cuisine, using all the same spices as you would in an Indian curry, but the taste is absolutely different.. Can try for yourself... !! Looks inviting and tastes amazing !! Mix the ginger-garlic paste, lemon juice and peppercorns and marinate the chicken in this mix for 30 minutes. Heat oil in a pan and splutter the mustard seeds. Add onions and green chilli and fry until the onions start becoming transparent. Add the tomatoes, and salt and turmeric powder. Mix well and cook till the tomatoes become soft. Add red chilli powder and coriander powder. Mix and let cook for a minute. Add the marinated chicken and mix well. Add 1/2 cup water and cook covered for 15 minutes on medium flame. Remove cover and garnish with coriander leaves (optional) and serve hot.